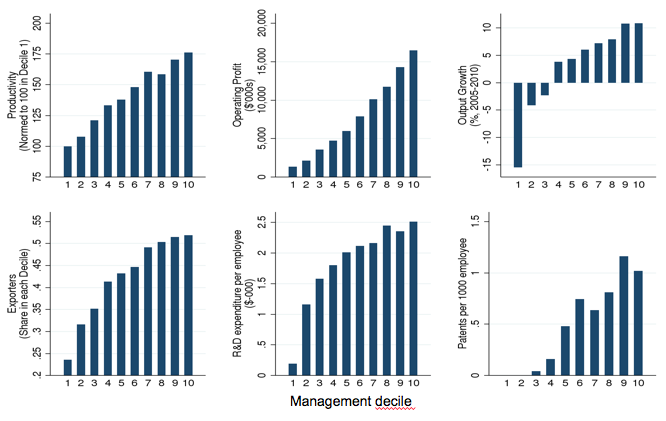 While this study focused on US manufacturing, related work using the World Management Survey (www.worldmanagementsurvey.com ) shows this huge spread of management practices is evident in other sectors like retail, education and healthcare, and even more striking in firms in Europe, Asia, South America, and Africa. Building on the research using the World Management Survey and the Management and Organisational Practices Survey, other countries are now developing their own surveys similar to the Management and Organisational Practices Survey (including Japan, the UK, Mexico, Pakistan, Germany, China, and Australia). With surveys that have some standardised features, cross-country comparisons will be more informative. 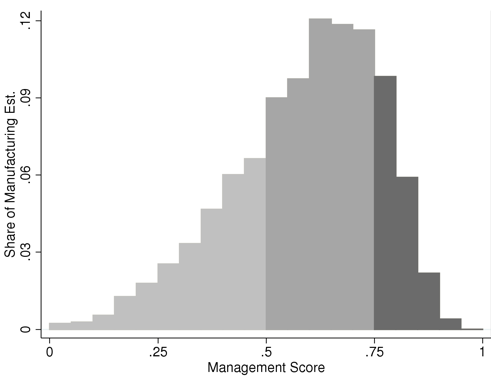 Bloom, N, E Brynjolfsson, L Foster, R S Jarmin, M Patnaik, I Saporta-Eksten and J Van Reenen (2017), “What drives differences in management? ”, NBER working paper 23300.